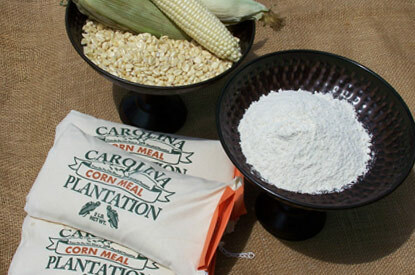 CAROLINA PLANTATION stone-ground corn meal is the finest you can buy! In our antique grist mill, the grits and meal are separated by an elaborate series of sifting screens to insure the highest quality corn meal for all of your southern recipes. We also leave the corn germ in our meal, resulting in an all-natural and more nutritional product.